Kids can be shy, its not always easy for them to have conversations with peers or adults. This list of 100 get to know you questions can help. Update: Many school educators have used this free resource to help children learn English (ESL conversations). These simple “get to know know you” questions are perfect to break the ice and get kids talking. I’ve added audio pronunciation recordings (MP3 one – two – three – four – five – six – seven) to help you hear these spoken English conversation questions. (USA American native speaker). What was something you had to do this week that you didn’t care for? Did you see anyone this week that you haven’t seen for a while? Did you go visit anyone this week? 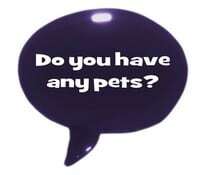 Did anyone come to visit your house this week? Do you have any exciting stories to tell from the past week? Are your brothers and sisters older or younger? How do you like being a big/litter sister/brother? Where does your Dad work / what does your dad do for a job? Where does your Mom work / what does your dad do for a job? What did you do for last birthday? What is one thing that your Mom/Dad makes for dinner that you just can’t stand? Is your bedroom decorated? How is it decorated? Do you have to share your bedroom with anyone? If you could receive one thing in the whole world as a present right now, what would it be? What do you want to be when you get older? Why? What do you like to spend your allowance on? What is one thing you don’t know how to do that you wish you did? Do you like the grade you are in more or less than last year? What are you studying in school right now in math? …language arts? ..science? ..etc? What is your least favorite thing to study? Do you have lots of homework to do each night? What do you like to play at recess? Do you ever stay home from school sick? When was the last time you stayed home? Do you like to draw? What kinds of things do you draw? Do you like to do puzzles? What about word puzzles? …number puzzles? Does your family go on a vacation each year? Where does your family go on vacation? Where is the most exciting place you have been in the past year? Do you have a bike? What does it look like? What kind of video game system do you have? What is your favorite game to ply on the Wii, Xbox, etc? Do you have a portable game system like a PSP or DS? Which one? Who has the best kids’ meal toys right now? Do you know how to play any instruments? Which one(s)? 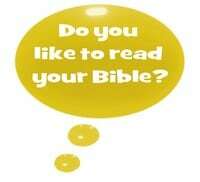 Do you like to read your Bible? What is the funniest name in the Bible? Do you pray to God every day? What types of things do you pray for? Who brings you to church (mom, dad, grandma, grandpa, etc.)? 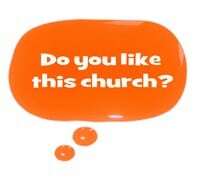 Do you like coming to church? Why do you think Jesus decided to come and die for our sins? Do you talk to your Mom and Dad about Jesus and the Bible? Do you tell other people about Jesus? Who have you told about Jesus recently? What is your least favorite thing that we do here each week? What have we done in the past that you would like to see again? Do you like coming to [insert name of your children’s ministry here]? Why or why not? If you ran children’s church, what would you do different? Do you like the music we play in children’s church? I happen to be blessed by God to be one of those people who actually loves talking to kids (many times more so than talking to adults). I enjoy engaging them, relating to them, chatting with them and learning from them. There are, however, a lot of people who love kids but just find sitting across the table from them and trying to have a conversation about as daunting and foreign as sitting across the table from an alien life form trying to learn about their planet. It’s not that they don’t like kids, just have trouble deciding where to start. In order to help, I have compiled a list of 100 questions and conversation starters to get kids talking. Much like any conversation, the key is to just get it started then it tends to take on a life of its own. There are literally thousands upon thousands of things you can talk to a child about. The more you get to know them and invest in their lives the deeper and more meaningful your conversations will become. 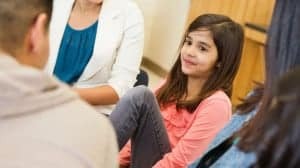 In the meantime, hopefully this list will help give you some ideas on where to start when it comes to talking to kids. *This article was originally posted on May 17, 2010. I’m teaching ESL in a local high school (Taipei) and I’ve had a measure of success in getting kids with limited vocabulary to express opinions with a variety of questions that require a certain amount of analytical thinking (Grade 7 & up). For example: Why do people wear clothes? Why do we have laws? Why do some people drink cow’s milk? 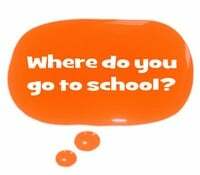 (Here, some kids will catch the double question – 1. Why milk? & 2. Why cow’s milk?). I suggest different ways to begin … “I think it’s because…” (expressing uncertainty) — “Some people believe…” (understanding the beliefs/opinions of others) etc. Will be helpful in teaching children to speak English. Tony Kummer (Editor) reviewed & updated this page on : April 16, 2019 at 7:20 pm. All our content is peer reviewed by our readers, simply leave a comment on any post suggest an update.